Think super easy and approachable dinner, but super decadent and exciting all at the same time. 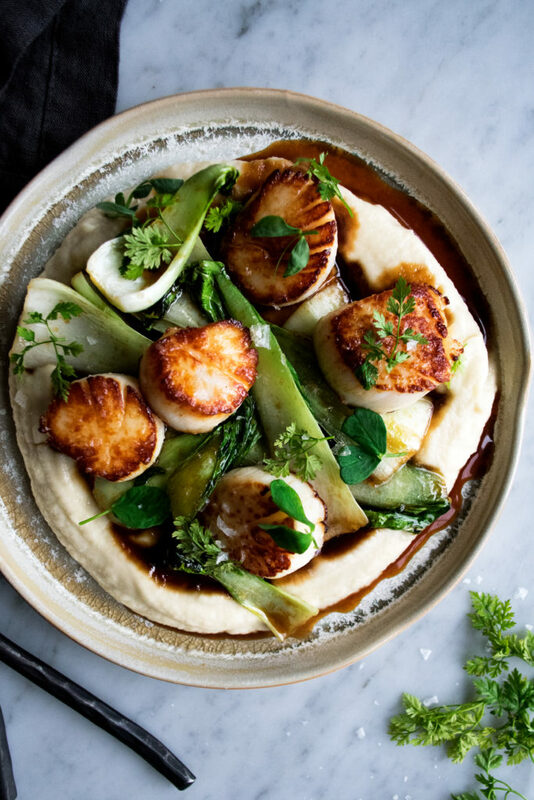 That is exactly the best way to describe these seared scallops with bok choy & celery root puree. 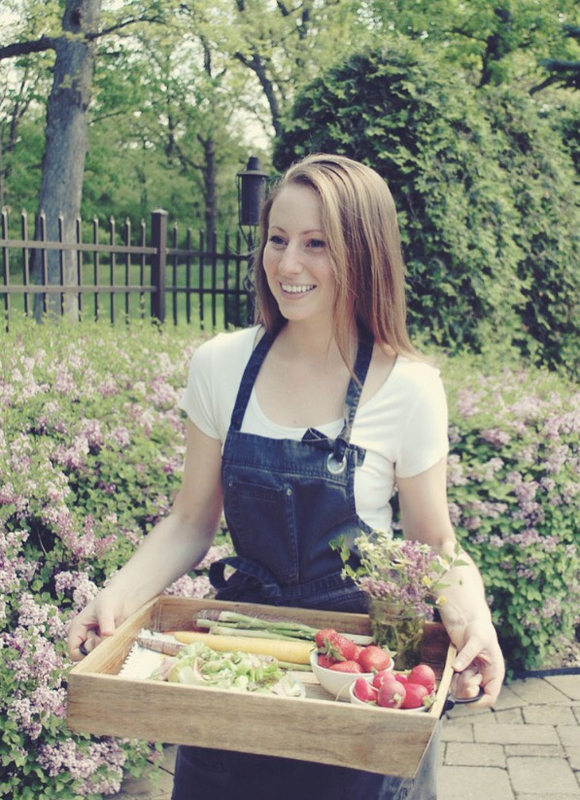 My best advice when cooking healthy (and consistently doing so) is to somewhat change your mindset on it. Instead of thinking about what you have to eliminate, think of all the amazing things you CAN cook with. And, do it in a really exciting way. If you can take incredibly good ingredients and cook them using just a few simple techniques & flavor profiles…that’s where the magic happens. Enter these seared scallops. 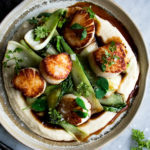 Rich, buttery tasting scallops with a creamy puree of celery root, shallots, and ginger, and a quick saute of fresh bok choy, glazed with splash of soy sauce and honey. It’s got all the right flavors going on and comes together in a very mouthwatering way. I love making this for myself as a pick me up during the week, but it also makes for a great dinner party dish. Seared scallops definitely make many appearances over here, so if you’re new to cooking them, I’ve got all my cooking tips right here! Heat a heavy-bottom pot over medium heat. Add enough olive oil to coat the bottom. Once the oil is hot, add the shallots. Sauté for a couple of minutes until slightly caramelized. Stir in the garlic and ginger. Cook for another minute. Add the celery root and season with a pinch of salt. Pour in the water. Bring to a boil over medium high heat, then reduce the heat to low, cover the pot, and simmer for 10 minutes. Remove the lid and simmer for another 15 minutes until the celery root is tender. Ladle out the solids from the pot and add them to a blender (a little bit of liquid is okay; reserve the rest of the liquid to use as needed). Blend the celery root until smooth, adding small amounts of extra liquid at a time until you reach a super creamy consistency. Blend in the honey. Taste the puree and season with more salt if needed. Meanwhile, take the scallops and remove the small side muscle on each one. Pat the scallops dry and let them sit at room temperature for about 10 minutes. Season each with a pinch of salt. Heat a large sauté pan over medium heat. Once the pan is hot, add enough oil to just coat the bottom. Once the oil is very hot (but not smoking), place the scallops into the pan. Work in batches if needed. Do not try and move the scallops for a few minutes, or until each have a really nice golden sear on the bottom. Once the scallops start to release on their own, flip them over and finish cooking on the other side, just another minute or so longer (overcooked scallops will be rubbery). Remove the scallops from the pan and if the pan looks dry, quickly add another small splash of oil. Toss in the bok choy and sauté for just a minute or two until tender. Add the honey and soy sauce. Let simmer for a minute to create a glaze. 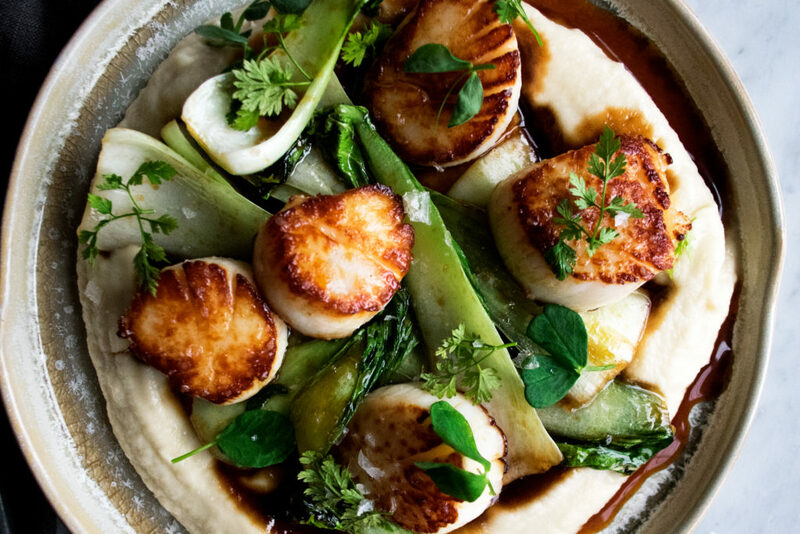 Serve the scallops with the celery root puree and bok choy. Spoon the glaze over top. Garnish with the fresh chervil or tarragon leaves. When do you add the listed honey under the celery purée? It gets blended in at the end! Just updated the recipe – thanks for catching this.